Running an eCommerce business is a big and tricky job. Trickier is running a successful business in that. When eCommerce is in such a boom today and every other entrepreneur is finding his way to this high yielding business arena, competition is quite an obvious phenomenon to get noticed. Did you know that 74% of Internet startups fail due to premature scaling? And also, the startups that scale properly grow 20 times faster than those who scale prematurely. Why do they choose to scale so early? Competition and the desire to sweep away the major share of the profits could be a primary reason. Moreover, the incompatible business websites and loopholes in the basic eCommerce needs are one of the strongest reasons. Businesses ignore the critically important elements of their primary medium to connect with the customers- The website itself. When your business website fails to match up with the customers’ expectations, you automatically give your rivals an easy chance to steal your business. Here in this blog, we are going to discuss 5 such crucial eCommerce support services that can boost up your business in multiple ways and helps in avoiding premature decisions. Moreover, these services efficiently manage to curb out the loopholes and support you in surviving the tough competition while keeping up the growth rate either. Shopping cart abandonment has become a common problem experienced by almost every eCommerce store today. If not tackled smartly at an appropriate time, it has the potential to ruin your business fortunes. There could be a possibly a number of reasons for increasing shopping cart abandonment on your store. Experts suggest several ways to optimize your website and curb the abandonment. However, it is hardly possible for a single person to have an expertise on all the measures that needed to be taken. That’s where the abandoned cart services can come quite handy. The eCommerce service companies in-house various experts, developers, designers, SEOs who work together to sort out every issue on your store that is stealing your customers. This is good that you can take the help of the experts to optimize your site. However, despite all efforts, some cart abandonment do occur, and you cannot stop them. Probably some customers abandon your carts not just because of any drawback, but for reasons other than the website itself. With the Abandoned cart recovery services, such customers who have already abandoned the carts can be tracked and approached with an email reminder. For example, our abandoned cart recovery system captures the email address and cart details of all those customers who have abandoned the cart. Later the system sends automatic serial reminders to these customers which are either a simple email or backed by an offer in return to complete the purchase. The abandoned cart recovery services is definitely an important service that can save your business from the horror of shopping cart abandonment. Moreover, either it about abandoned cart prevention or sales recovery, the eCommerce support services can help you in both the regards. There was a reason for stressing on the term “competition” at the beginning of this article. In eCommerce business today, competition is all about “If you can’t support your customers, your rival will”. Quality Customer Support is a trickier task to accomplish. Especially in eCommerce business, a single mistake from your side may result in a ruined-customer-experience and a lot of lost customers. In this situation, the mistake is not a big problem, but the ease of rectifying that mistake is. And that’s where eCommerce helpdesk systems come in the limelight. To tackle such situations and handle the support process in a traceable and satisfying manner, you need an efficient ticket management system. A system that can provide your customers with an easy way to get in touch with you in case they have an issue. Moreover, it should also provide the customer support executives with a qualified system to keep a track of all the tickets created by the customers and provide the solutions on time. It’s time to utilize the eCommerce support services to get an effective helpdesk system for your store. I am certain that, it’s really hard to run an eCommerce business without an organized customer support system, probably you would agree with me here. E-commerce website search is a service that basically deals with improving the search competency of your eCommerce store. You must have visited the popular eCommerce sites like Amazon, eBay, and Etsy. Have you ever thought how you get instant search results so accurate despite there are millions of products on that same site? There is a simple answer, these companies know the importance of website search improvement for their business and how to grow their sales with it. We understand that you are not Amazon, neither you have a dedicated team to work especially on your website search improvements like Amazon, Etsy or eBay. Think a little deeper, is it the only thing that is stopping you from getting an efficient website search functionality? If so, you are most welcome to leverage the website search services. Here you do not need to hire your own team to do that. You can just hire an eCommerce service provider who has a dedicated team of experts to work on your website search improvements. Moreover, there are some little tweaks for website search that you can do by yourself too. Detailed coverage of site-wide search results that can comprise products, forums, blogs, categories, content pages with rich media. Providing various searching options to customers for allowing seamless search results based on category, sorting order or a particular product. Paging facility that allows customers the freedom to choose the number of products that can be displayed on the search result page. Merchandising search results along with hero products which get triggered when specific search results are used in the search bar. Ensure effective search speed and accurate results while returning results based on the user’s query. B. Integrating incentive systems to encourage the customers to write the review. Both of these services are sometimes provided by a single eCommerce service company itself. In the first section, these companies hire the experts to use your products and provide their review for the same. Could it be biased? Probably yes, but as an ethical eCommerce business owner, you must hire a company that provides honest reviews only. 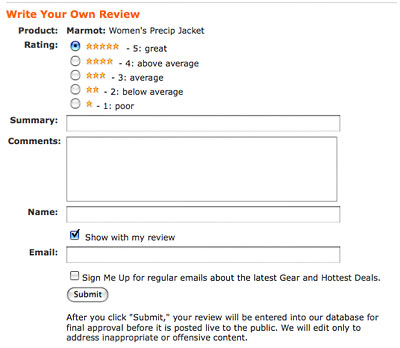 In the second section, they integrate review booster applications in your store. These systems motivate your customers to write a review in return for an incentive, offer or discount. The second option comes quite handy most of the time. It was the same case when we work on boosting the honest product reviews on Knowband. We integrated one of our review incentive systems which boosted the review rates to a great extent. Customers who had made a purchase on knowband earlier were sent emails with discount offers in return for writing a review about their experience. Surprisingly, the campaign did not only boosted the number of reviews on the store but also boosted further sales to a great extent. Marketplace integration has become popular over the past few years only. However, it has become one of the best ways to boost your product sales. 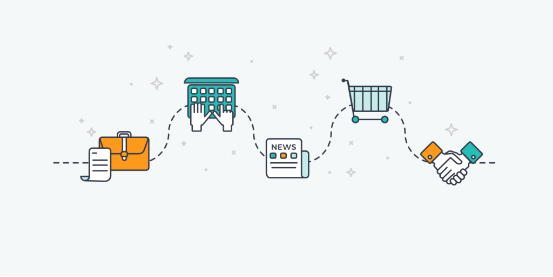 The marketplace integration works different for different marketplaces (eBay, Amazon, Etsy) and different eCommerce platforms (PrestaShop, OpenCart Magento, Shopify etc. Here, your eCommerce store is integrated with a system that allows you to sell your store’s products on the popular marketplaces like Amazon, eBay, and Etsy directly from your store only. That means you don’t need to separately manage your own eCommerce store and your shop on the marketplaces. You can do all that from your own website’s back-office. You can manage orders received through the Marketplace from your store’s Panel itself and lot more. Selling on marketplaces has been in trend for a very long time. But it has been a dilemma for those businesses who also have their own eCommerce store to manage. If they put attention on selling on the marketplace, they do not get enough time to give on their own site and vice versa. These integrations help the business owners to sell on multiple marketplaces and get more diverse visibility for their products. Moreover, you now don’t have to choose between your own store and your Amazon shop, since you can manage both on a single interface. Perhaps, you just need Shop on Amazon, Etsy or eBay to boost your sales. 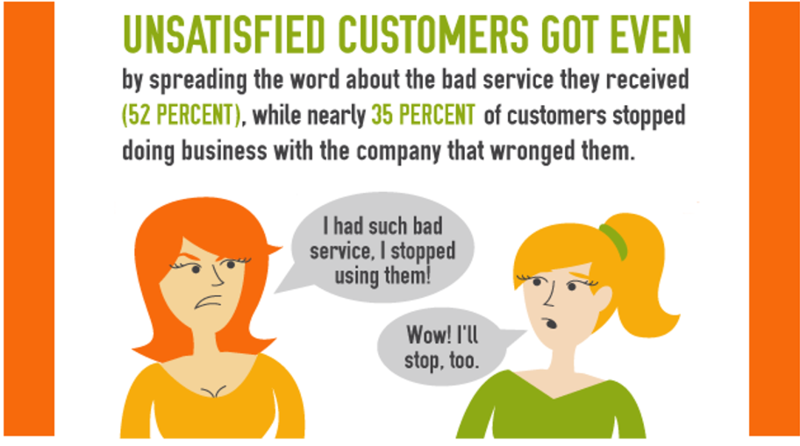 Customer satisfaction is the key to any business’s success. It has always been this way. You being an eCommerce store owner should do everything that it takes to please the customers that would build a long-lasting bond with them and they’d come over and over again to shop from your store. In order to do so, below mentioned are some tips that would make your customers happy customers. a. Invest in the right tools: Customer service doesn’t get over with a happy phone call resolving the issues that the customers had. It takes a lot more efforts that would help you improve your customer experience rate. 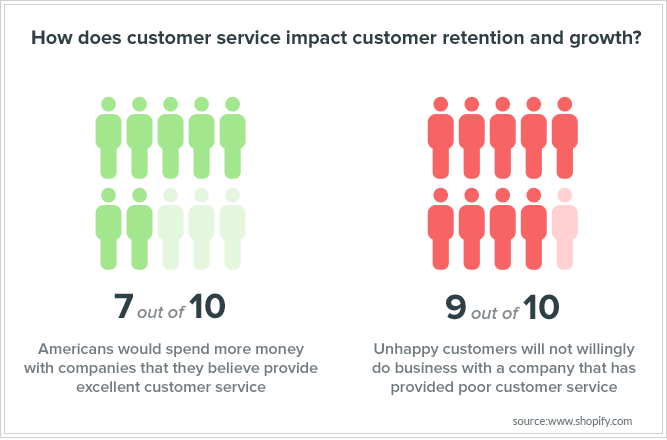 According to this study by RightNow, 86% of consumers are ready to pay 25% extra if the customer service is better. In order to provide a better and more enhanced customer service, you have to invest in the right tools at your store. b. Interact with your customers on Social Media: If you haven’t been paying attention, you should know that social media plays an essential role in providing the customers with a better experience. According to the study by Simply Measured, 99% of the brands have a social media presence, of which 31% have a committed service account. So what would be the best way to handle social media support efforts? Ideally being able to manage everything from one platform would be your best bet. c. Pay attention to the feedback: The consumers are the ones who get your website to working throughout. You really would want to hear what your customers have to say about your website and its products. 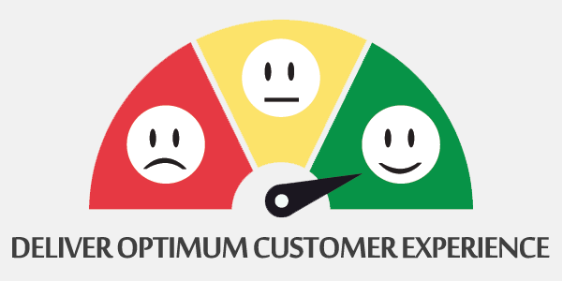 Both the positive and negative feedback provided by the customers is a good resource for your website. 70% of organizations take the decision depending on the customer’s feedback. d. Be thankful to your customers: Showing appreciation to your customers on the different levels will definitely make them happy and content. Whether it is the thank you that displays at the end of the checkout page or just for subscribing to your newsletter, showing gratitude to your consumers would be a great task. e. Reward your customers: Last but definitely not the least on the list would be rewarding your customers. You wanted them to be a part of your customer list and sign up for the emails, they did, you wanted them to shop from your online store, they did. In return to that, you should reward them discount coupons or free giveaways to boost their buying spirit. This would make them come back to shop from you. Having known the best customer support services, you must have a better understanding of the mistakes that you can make while giving the best of the efforts in the same. According to New Voice, Media U.S. companies lose more than $62 billion annually due to poor customer service. In fact, HelpScout mentions a few interesting statistics about if you have poor support services, it will affect adversely on the eCommerce website structure. So, here are the top mistakes that you shouldn’t make in customer support services in the coming year. According to State of Multichannel Customer Service report, 34% of people consider getting their issue resolved quickly as the most important feature of customer support, whereas only 10% think that finding answers without assistance is a key feature (for example, an FAQ’s page). Well, the consumers get irritated with delayed response and might never come back to your online store if they don’t get a resolution to their problem quickly. Having a live chat option on the store and actually using it would be a helpful idea for your store. You can choose from the social messenger extensions that would keep your spot on with the customer notifications. Well, you might have company size big or small with 10 or 1000 employees working in the customer support section. You must make sure that your employees have proper knowledge about the products and services offered at your online store. Without having proper knowledge, they would not be able to provide the proper solutions to the consumer’s problems. Customers get irritated when they see that the support staff lacking proper product knowledge. They will not tolerate incorrect information, apathy or rudeness on the part of your support staff. Provide a valid excuse to the consumer that would suffice for the damage done. Apologize and mend things by compensating for the same. What you need to make sure here is that you maintain your dignity and keep that fine line between cowering and apologizing to the consumer. Rather than bombarding the consumer with emails about the same, you could just send an apologetic mail – only once with a discount coupon or free gift but that’s just for once and all. Every eCommerce store is expected to remember its repeating clients that prove beneficial for the store. If you have been still referring to your customers as “hi there”, “sir/ma’am”, etc., you need to stop it right there. Knowing their names, preferences, needs, etc, let them understand that they are important and you care for them. Greeting them cheerfully and politely or rewarding them with special discounts keeps them coming back to you again and again. How can you boost up your eCommerce sales this summer in 2019?